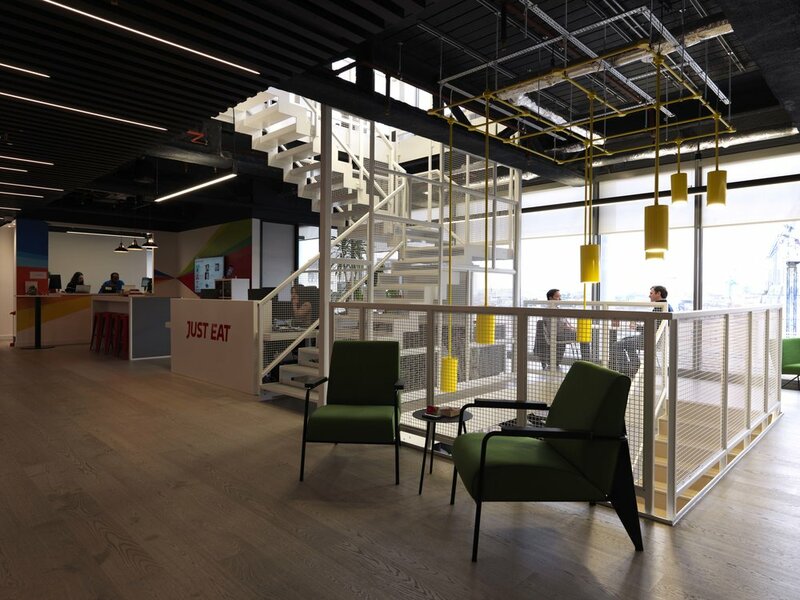 A complete transformation across the four floors of Just Eat’s London HQ. The design strips back the original Cat A fit-out, exposing ceilings and services to create a younger, industrial feel to the workplace. Three new staircases allow employees to traverse the floors, creating a greater sense of community between departments, as well as providing a much-needed auditorium environment. Pavilion-like structures break up the desking and provide pockets for collaboration and informal meetings.